Public Displays of Privacy celebrates Black women while perforating formal ideas about the intersectionality of color, race and gender. Curated by Martina Dodd, the exhibition opened at The District of Columbia’s Art Center (DCAC) with a soulful vibe and an uplifting mood. 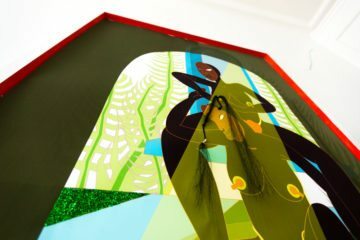 The exhibition features the work of Adrienne Gaither, Nakeya Brown, Danielle Smith, Khadijah Wilson- all local women artists who disrupt mainstream ideas about Blackness and provoke new questions about ownership of the body, image and privacy. This exhibition opening coincided with the monumental opening of the National Museum of African American History and Culture, American University’s “It Takes A Nation: Art For Social Justice” exhibit, and the recent epic drop of Solange’s “A Seat at the Table” which is a musical testimony to the sentiments of black womanhood. Public Displays of Privacy occupies a clear task; just like a surgeon, it dissects the layers embedded in public Black perception, opening routes to banish the virus of the racist imagination in the process. Danielle Smith’s “Pearl and Perils” (2015) paintings are alive. She paints her sisters with poppy watercolor drips, presenting visceral and multicolor fIgures. 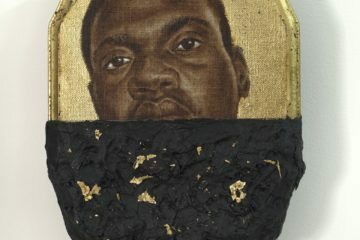 Smith’s work primarily deals with the relationship between class and the race in America. 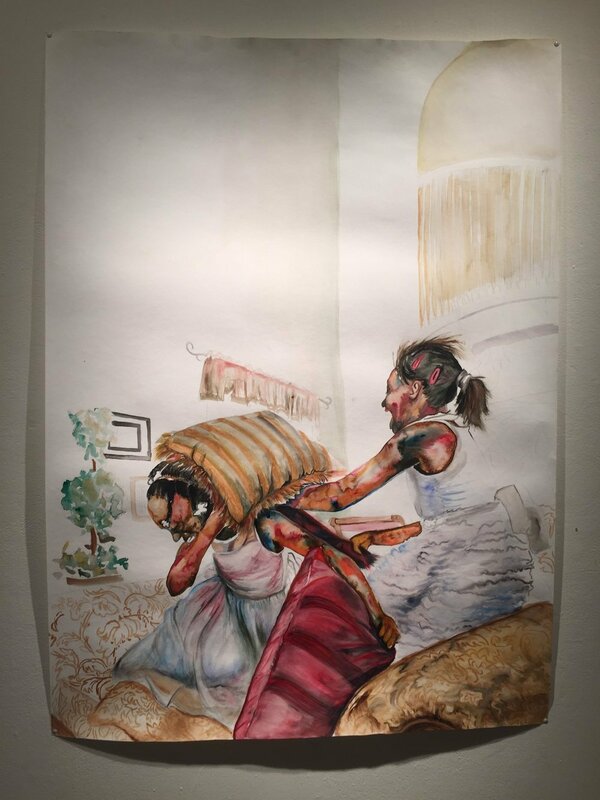 “Pearl and Perils” allows the viewer to relate to the memory of sisters pillow fighting while mocking the framing of Black kids by mainstream culture. 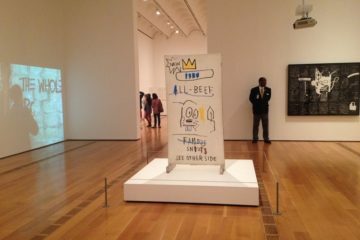 Alongside “Death Via Affluence” (2015), Smith tastefully points to the harsh reality that black students are regarded as more violent on the street, schools, and other public spaces. The color black essentially is the absorption of all colors of light and the meticulous blending of multiple colors of pigment. 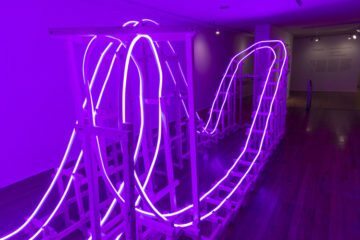 The exhibit acts as a deconstruction of the outer black skin color presenting the combination, the inner struggle, the loose and the vulnerable while untying the knots in these intricate relationships between public and private, intimate and distant, violent and loving. Across the gallery is a corner installation displaying a slice of Adrienne Gaither’s home. What is most powerful about “Levels” (2016) are the little trinkets of Adrienne Gaither’s childhood juxtaposed with books that she has read that have shaped her life. A sticky note hangs on a wall cloth in the same color found on the walls of her house. She writes a deeper adulthood realization: “HOW DO I LIVE FREE IN THIS BLACK BODY?” In the age of the “BLACK LIVES MATTER” civil upheaval, this question echoes its intensity above and beyond. Mounted on the two adjacent walls are Gaither’s “Eye Don’t See Color”(2015) post-abstract paintings. Displaying perfectly squared color blocks as digital pixels, Gaither zooms in on the nuances of color perception while commenting on the myth of racial colorblindness. Think of them as a metaphorical digital plug-in to propagate a cultural feed. Social media encrypts social and representational constructs. However, many Black people are using the internet to spotlight the racism and micro-aggressions that happen in our daily lives, spreading people’s stories to the masses and calling out oppression. Online, Dodd, for example, joins the Black womanhood creative resilience acts. On her Facebook page, she posted a portrait photo wearing a black t-shirt with the phrase “That Melanin Though” while posing in front of Gaither’s “Eye Don’t See Color” chocolate, dark brown, ebony and beige color blocks. The caption: “Woke up feeling myself and my melanin.” Such post examines the eschewed layers of Black pride and perception through a humorous and easily digestible content. “It’s such beauty in Black people, and it really saddens me when we’re not allow to express that pride in being Black; and that if you do then it’s considered anti-white. The two don’t go together. Because you celebrate Black culture does not mean that you don’t like white culture; or that you putting it down. Well, all we’ve ever been taught is white history: so why are you mad at that? Why does that makes you angry? Nakeya Brown’s “The Art of Sealing Ends” photography series offers a workshop on rituals and politics of hair. “If you have never had braids before, you might not understand why she is dipping her hair in a kitchen pot,” divulged Dodd. Black beauty routines, familiar to the Black community, is often fetishized by others, sometimes judged or repulsed. Just like Solange, Brown inscribes the message that hair rituals are rooted in communities and identities and worth honoring. In “The Art of Sealing Ends (Pt. II) ” (2014), the model in the photo is holding a stem of braids up with one hand and lighting the ends on fire with the other hand. Meanwhile, the model in “The Art of Sealing Ends (PT. I)” is dipping braid ends into a pink kitchen pot full of hot water. The artist brings a hidden beauty process into a fashionable light. The show is fearless, overcoming judgment and precariousness about not understanding. 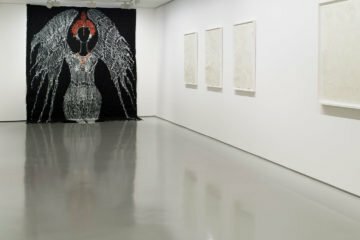 The strength of each artwork stems from its ability to work similar to acupuncture, pinning and releasing nuances that shape African American culture and its struggles, focusing on the multifaceted nature of Black women. Public Displays of Privacy closes today at District of Columbia Arts Center, 2438 18th St. NW. 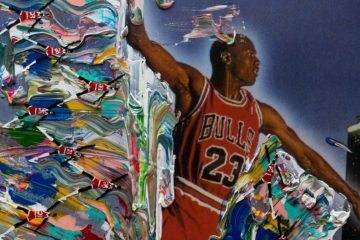 202-462-7833. dcartscenter.org. Ikram Lakhdhar is a Tunisian writer, curator, and communicator based in Washington, D.C. She holds a BA in International Relations, a self-designed major in Arts and Politics, and a Museum Studies Certificate from Connecticut College.